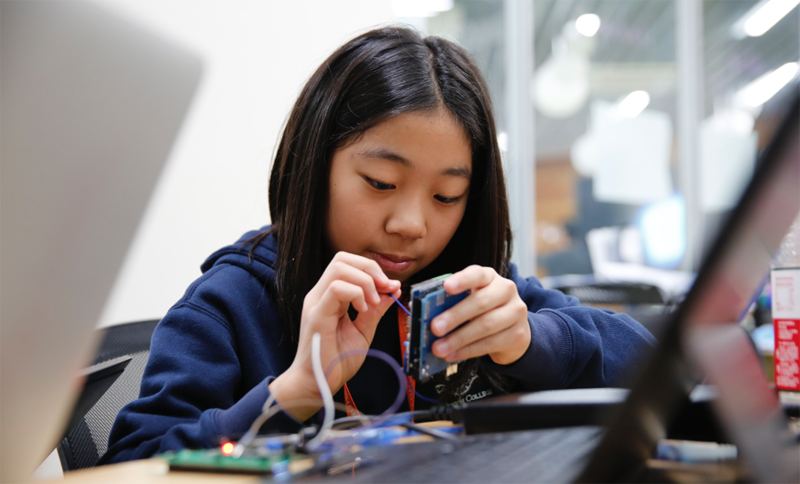 Last Friday through Sunday (including late into Saturday evening), 100 students hacked away on the theme of ‘Lock It Down!’ here at Dulwich Pudong. I am enormously proud to say that HakD 2018, the successor to last year’s inaugural Dulwich Hackathon, was a resounding success. With students attending from four different schools, including Dulwich Seoul, we tripled the uptake from the previous year. The student-led organising committee, led by founder Kenn Chong, was instrumental in the organisation and running of the event. I would also like to thank our recently appointed Technology Ambassadors who, through events like this, continue to raise the profile of computer science at the College. New to the event this year was the introduction of scenarios, where students worked in mixed teams to produce a prototype for a key-stage-specific problem. A special well done to Dulwich Pudong students, who were in winning teams for all four scenarios (including the special pioneering award! ): Matvey, Hashim, Ray, Artem, Vivian, Christian, Josh, Sze Luck, Stephanie, Leipakshi, Midori, and Owen.